Mowing, water, raking, lawns take a lot of work, and a lot of water. Xeriscaping the parts of your lawn that require the most work (as in, the most sun) can significantly reduce your workload as well as your water bill. Try to keep a bit of green in your yard, though, as this helps to keep things cool. 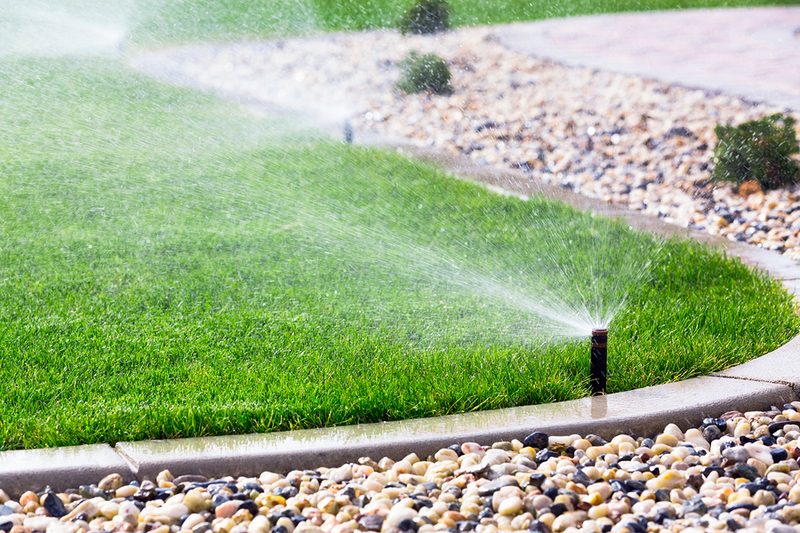 If you really love your lawn, try a few tips to cut back on water. Let it grow a bit longer, water later at night (with automatic sprinklers), use a mulching blade to provide nutrients and retain water. Keep in mind that one inch of water per week should be enough to keep your grass green. When choosing new grass, whether reseeding or putting in turf, look for drought-resistant varieties that don’t need a lot of water or care. Gardens are a great source of fresh fruits, vegetables, and herbs. They can grow flowers to beautify your space – but all this growth requires water. Being smart about your vinyl patio garden lets you use less water and grow your plants more efficiently. Drip irrigation is one way to reduce water, as well as making sure your soil is able to hold water when needed. If your vinyl patio surrounds a deep blue swimming pool, then nice! However, pools are water hogs. Reducing water consumption when you have a pool can go a long way. Use a pool cover, reduce the temperature, fix leaks and lower the level of your pool. Finally, reduce the use of pool toys that use a lot of water (such as waterslides). Intelligent plant and landscape choices can reduce your water consumption by cutting water needed and retain water when it’s applied. Mulch is one addition that can make a difference as well as cutting back on evaporation. Look for drought-resistant plants and grasses, use automatic watering, and limit pruning so new growth doesn’t use excessive resources. Recycling cuts back on water too, which is why choosing sustainable vinyl decking is a terrific choice. Besides using fewer resources throughout its lifespan, your vinyl patio surface can be recycled at the end of its lifespan. How’s that for water wise? Check out vinyl patio surfaces for your next landscape project.